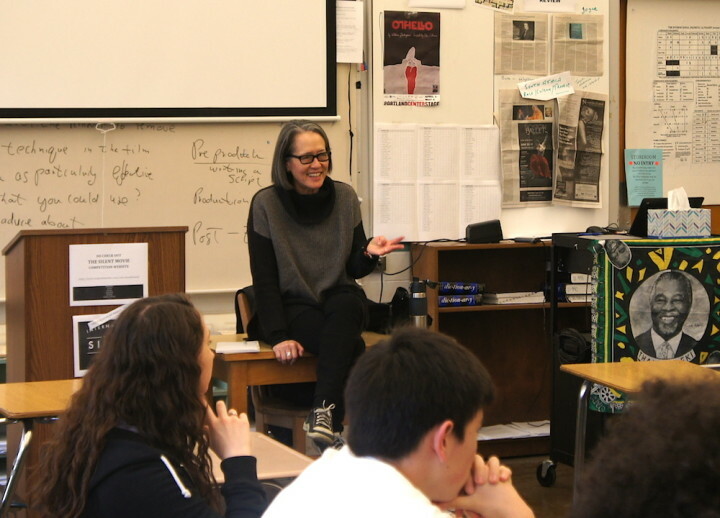 [by Mel Wells] During her week as Literary Art’s author-in-residence, Ruth Ozeki is spending several hours at Grant High School visiting students in their classes and discussing her work, both as a filmmaker and a novelist. Ozeki went on to work for Japanese television, and began to edit films as well. 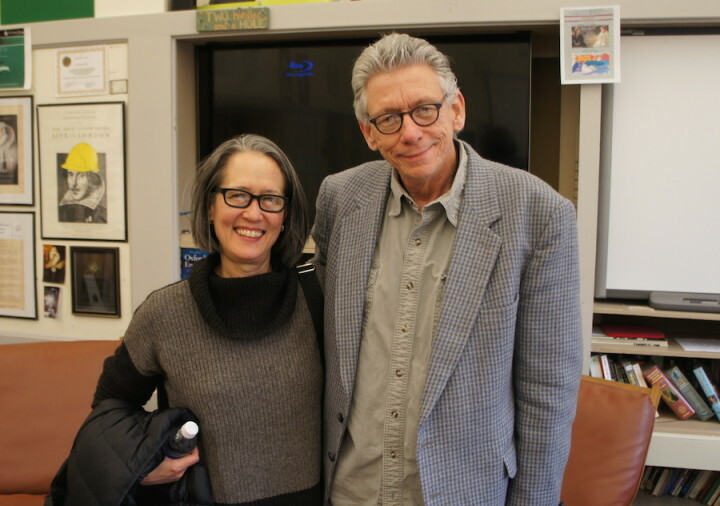 “It was in the editing room that I learned how to tell stories,” she said. She bought a super-8 camera and began filming scenes from Halving the Bones before she had a firm idea for the film. “In that way, I used found images,” she said. 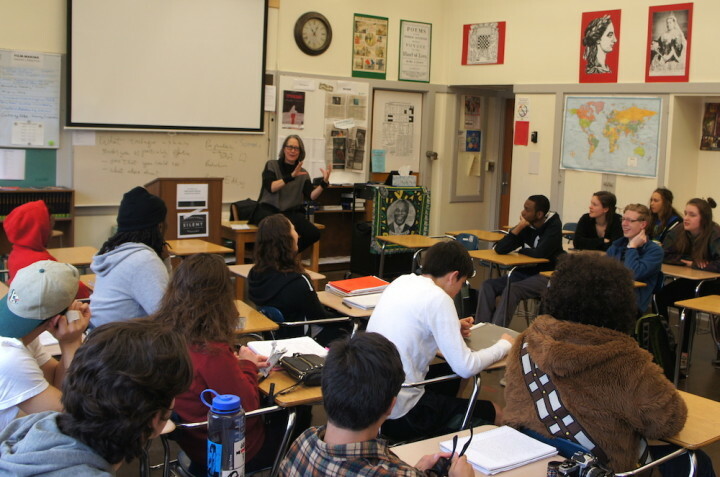 The movie explores the reliability of memory and the truth of history. 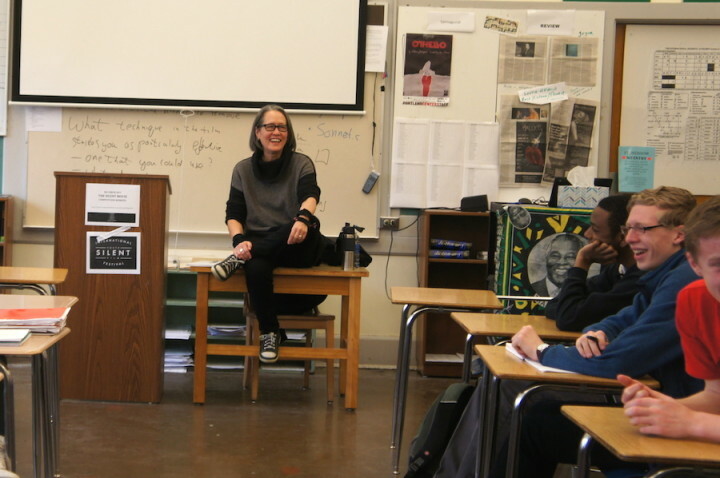 Ozeki is visiting students in the Japanese immersion classes before her lecture tonight at the Schnitz for Portland Arts & Lectures. 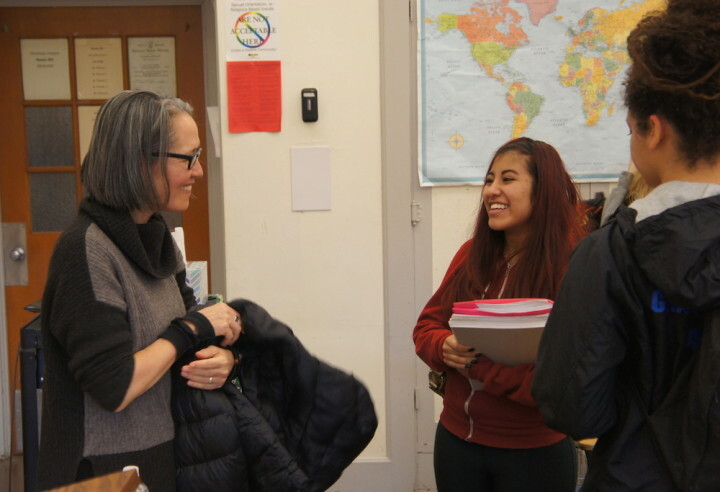 Many thanks to the administration and teachers at Grant High School, especially Dr. Dreyer, as well as the students for being such attentive, involved participants in Ozeki’s residency. 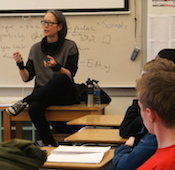 And of course, a huge thanks to Ruth Ozeki for being a fantastic author-in-residence this week!